d'Eon wants to summon the angel Gabriel, arrange flowers and make beats for popstars - FACT Magazine: Music News, New Music. 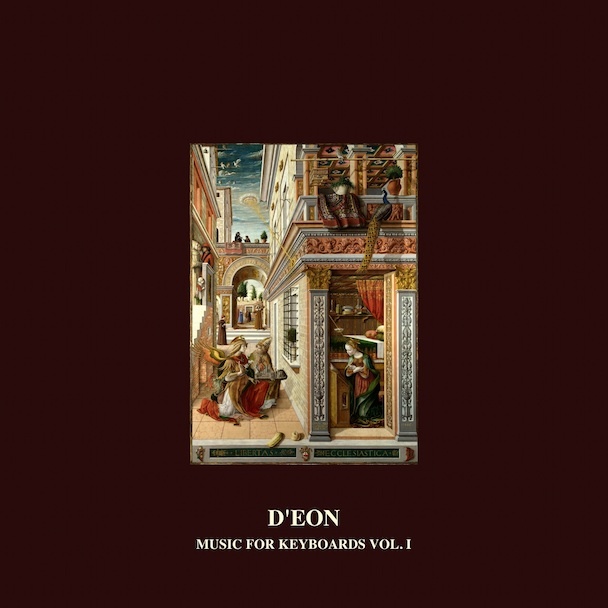 Over the past few weeks, during life’s more stressful moments – the morning rush hour traffic, the mountainous pile of washing up – d’Eon’s Music For Keyboards has been a regular fixture. Its svelte synth jams, hovering somewhere between Brian Eno and Harold Budd’s Plateaux Of Mirrors and the noodlier transmissions of Oneohtrix Point Never, were offered up for free download by the artist himself. As a format, it’s fitting: this is compact, delicate ambient music for the Mediafire age. 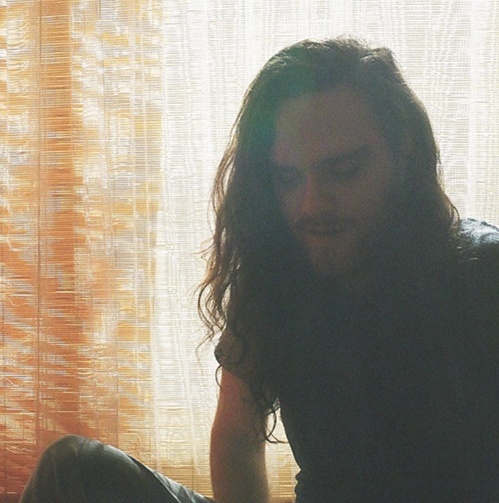 What’s more, the album is just a sidenote in d’Eon’s blossoming career – 2010’s Palinopsia, last year’s Darkbloom (a split EP with fellow Montreal resident Grimes) and the forthcoming LP constitute the producer’s “proper” body of work: bright, slightly deranged house music and densely arranged leftfield pop which sits comfortably in the Hippos In Tanks catalogue. Recently returned from the SXSW festival (during which all of his gear was unfortunately lost), d’Eon fielded some questions from FACT’s Angus Finlayson about the forthcoming album, his love for minimalist composers, and his aspirations to become a florist. I’ve been really enjoying Music For Keyboards lately. Could you talk about how you went about making those tracks – they sound quite improvisatory, or where they tightly structured? d’Eon: “Thanks a lot! I’m so glad you dig. All of the tracks are improv with the exception of like two tracks. I did ‘#03’ and ’#05’ in 2003 and they’re the only tracks which were planned out note-by-note. The rest are first takes of keyboard improvisations. 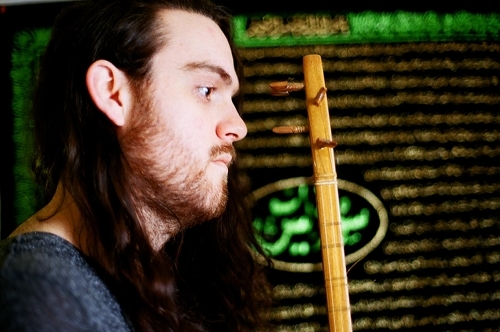 I feel like sometimes improvisation gets a bad rep, since when most people think of improvised music, they think of super-long noodly drones that go nowhere and have no coherence or unifying theme. I like setting limits, like I’m only going to play for four minutes, use the same two-chord progression the whole time, and have a main melodic theme that is improvised on the spot but that the track starts with and comes back to. Why did you decide to put those tracks out for free – were they offcuts from the album? To me those tracks – and a lot of your music – sound very indebted to minimalist composers like Steve Reich and Philip Glass. Would you agree with that? What is it that you find interesting about that kind of music? d’E: “For sure. I first heard Steve Reich, Terry Riley and Philip Glass when I was 11 years old. I found the Steve Reich 10-CD box set at a library and I listened to every single disc one after the other. As a kid who obviously grew up surrounded by modern pop and dance and rock music, listening to Reich and Riley and Arvo Pärt made me realize that some of the most pure and sacred music is music that only consists of notes and nothing else. Hearing ‘Music for 18 Musicians’ or ‘Tehillim’ or ‘The Desert Music’ [by Reich] or ‘Shri Camel’ [by Riley] opened my ears to 100 percent tonality. And with Reich, so many of his compositions are repetitive, and I had been really into stuff like Underworld and The Orb around the time I found out about his music, and obviously dance music owes everything to what Reich did with repetition, so it was perfect timing. 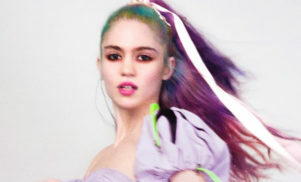 You’ve been closely linked with Grimes in the past – and obviously you did that split release together. How do you think her recent success has reflected back on you? Do you feel like people still see you as closely related artists? 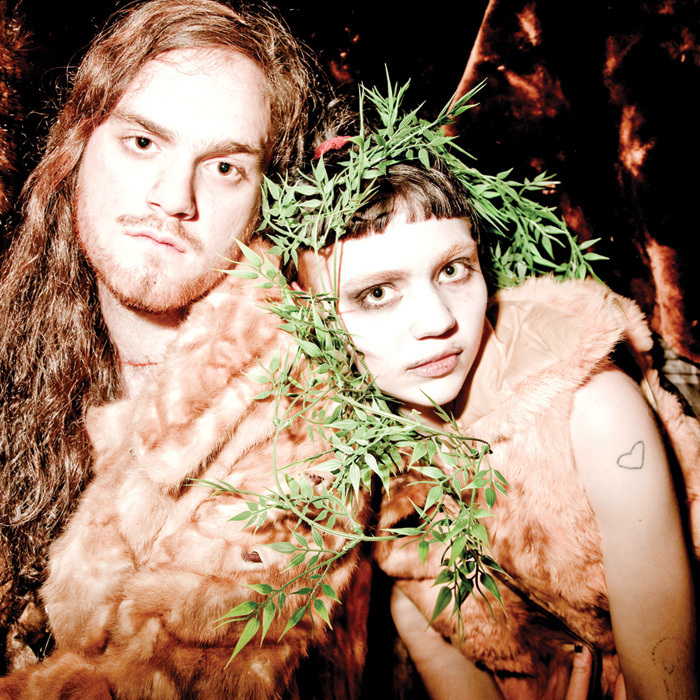 d’E: “Darkbloom was kind of my ‘Grimes’ songs, and her ‘d’Eon’ songs. We wanted it to be taken as a whole, two musicians meeting in the middle musically. We may have both underestimated how different the Grimes fans are from the d’Eon fans. I feel like our audiences are different, even though we were hoping people would like the whole album rather than choosing one or the other. People compared our music when the record came out, but now I think that many have come to the realisation that our musics are very different from each other. Do you have any plans for future collaborations in that vein? Would you identify yourself as a distinctively Montreal artist – do you think there’s a defined sound coming out of the city? d’E: “I love Montreal more than any other city, and I feel a deep connection with the music community here. The first show that I played in Montreal was about three years ago, with Grimes, Tonstartssbandht, The Pop Winds and I think Braids. I was in a band a couple years ago called Omon Ra II, and we released a split cassette with Dirty Beaches in 2010. Claire and I played shows for 10 people in her apartment, but we all knew each other. My girlfriend was the doorgirl of the most notorious underground club in Montreal, and for a while the entire music community was based around a handful of loft spaces. Montreal’s dance music community has a lot of disco music, and my mother used to be a disco queen when she was my age. So because of all of those things I have a huge amount of love for Montreal. Regarding the new album, how would you say it differs from your past releases? It seemed to me like you were moving in a poppier, more “song”-oriented direction with Darkbloom, but then ‘Transparency III’ on the new Electric Voice compilation seems like a departure from your past work. d’E: “The LP is definitely a pop album. It continues from the material on Darkbloom, but it sounds different for sure. Most of the songs follow a two-chord progression just like Darkbloom and Palinopsia but there are a lot more notes. 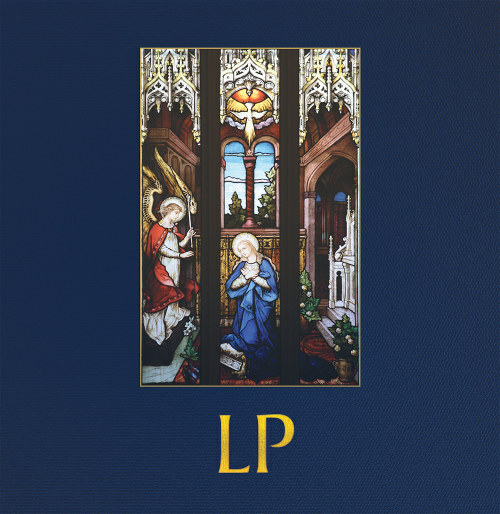 Lyrically the album is about the angel Gabriel, so I wanted the music to reflect the lyrics. When Gabriel appeared to Muhammad he had 600 wings, and so I wanted there to be around 600 notes per 16 or 32 bars, to sort of make an audio image of the sight of the wings of Gabriel. How has your approach changed or expanded with this album? Are you still working in a windowless room? I heard all your gear got lost during SXSW – how did that happen? Does that mean live shows are on hold for now? Finally, what are your plans after the album drops – a tour, more recording?